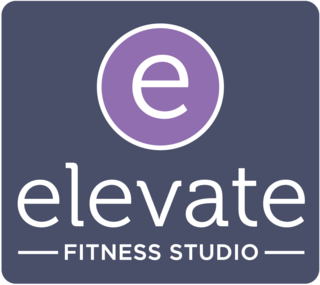 Start taking classes at Elevate Fitness Studio and other studios! Signature Barre: All levels welcome. In this 55 minute, high-energy class, we will target every major muscle group – working the arms, thighs, glutes, and core. Using the ballet barre for stability, we focus on small isometric movements to fatigue muscles and deliver targeted, fast results. Exercises are followed by a series of stretches designed to shape long, lean muscles and improve posture and flexibility. Modifications and challenges provided for clients at all fitness levels. There are no upcoming “Signature Barre” classes on this day. Make sure to wear socks and pants that cover the knee. PLEASE NOTE: Students attending TRX for the first time MUST arrive 10 minutes before class begins for a 10 minute introductory class. Very challenging class. Lisa is amazing! Robins class is always challenging and great! Jennifer was very attentive and had some great cues. Incredible workout. I used muscle groups I never knew I had and Ive been an athlete since age 8! Loved the class! Ill be back! Ps, tell Jen I looked up the name of the studio in charlotte, it was Xtend! Thanks! Great workout. It was a small class so instructor was able to give lots of individualized attention.